Just in time for the big bang of the new year TonTek Records goes out big for 2009. With this mind blowing 14th releas by Swedens multi talented artist/producer Mattias Fridell, who is well known for his driving techno tracks. Also check out the slamming remix by TonTeks own Tony Demoet. Prepare for some pounding techno sounds! 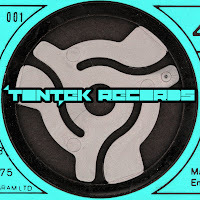 Tontek records have had a good year with their first 14th releases on many digital stores. Next year they will bring it to the next level with proper sounding techno and pounding beats, with new artists from all over the world we want to make the techno family bigger than before. We want to wish everyone a good new year and a better techno year!